QUESTION: I found your article on Noah and the flood interesting. However, are there any other sources in the West besides Gilgamesh that it seems many sites point to for the same reason? 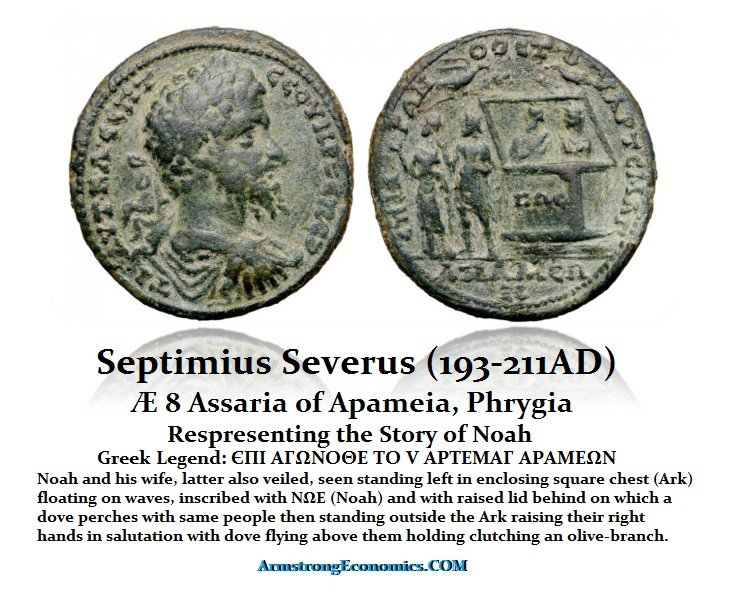 ANSWER: This story of Noah even appears on a Roman coin struck by Septimus Severus (193-211AD) long before Christianity became really a growing religion in Rome. The story is illustrated and even the name Noah appears on the Roman coin. This tends to verify that the story was well known outside of the Bible. « Is it St Mark or Alexander the Great Buried in Venice?